In 1996, the first A3 was introduced in the European Market. It marks Audi’s return to the production of smaller cars. Unveiled in 2008, the Audi A3 Clubsport Quattro is concept car that address both performance and environment efficiency. In the third and latest generation, A3 is available as a three-door hatchback, five-door “Sportback”, a four-door saloon, and a two-door Cabriolet. 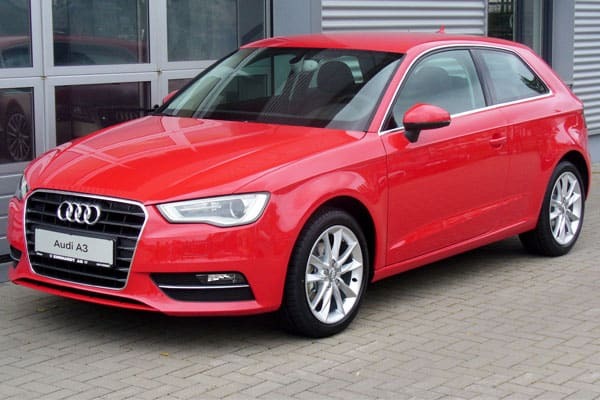 The 2016 Audi A3 is available as a sedan and convertible, and in five-door (Sportback) hatchback shape. A3 Sedan is closely aligned with the design of the original A4 sedan. A lot of attention has been paid to the surfacing of the A3. A contour on the rear fenders and creases below the door line and alongside the lower section of the doors has been the most expressive part. A3 was designed to be luxurious to the market. LED headlights, spare grille, and the roll of the roofline add to the luxurious design of A3. Looking inside the A3, the layout of the dashboard is focused on a horizontal dash. It is prevailed by round vents and screen that is tucked neatly in the center of the dash when off and emerges when the car is started. Shelf of buttons and a climate-control knobs reside in the midline of the dash. A hooded gauge cluster leaves plenty space in the dash open. From the driver and front passenger, an inlay smoothly flows into the door trim and leaves the dash to stick out and meet the doors at more of a space-expanding right angle. Shining shimmering chrome rings around the climate vents shines in the bright sunlight that lends a busier look than a clean appearance. Portions of the cabin can appear bare, on models that doesn’t have additional options equipped. An engine start/stop, sound-system volume, and an electric parking brake control are on the narrow center console. Three different powertrains are offered by 2016 Audi A3. First, a front wheel drive as an 1.8T model with a 170-horsepower. Second, a 2.0T quattro, four-wheel drive model with a 220 horsepower. Third, an e-tron plug-in hybrid with a 150-hp 1.4-liter turbo and a 102-hp electric motor. The two gas engines are turbocharged, direct-injected inline-4 engines with iron blocks and aluminum heads. A3 is quick, responsive, and confidence-inspiring. Both engines produce their peak torque ratings at just 1,600 rpm. A3s are fine being lugged and nearly wafted up to speed like a diesel engine. It has nearly no detectable turbo lag, by gently stepping into the accelerator. The best mileage will come from its hybrid model. It uses a highly efficient 1.4-liter turbo inline-4 that puts out 150 hp and 184 lb-ft of torque and is paired with a hybridized transmission. It can travel for up to 16 miles on electricity solely from its 8.8 kwh battery pack. A charge port hides in the grille behind one of the Audi logo’s rings. All the standard safety features that is expect to see in a premium-brand sedan is available in A3. It also offers active-safety options that help the driver avoid an accident. A3 was tagged with five-star ratings from federal authorities. Four stars for frontal and rollover crash protection. Five stars for side impact protection. Also, it was tagged as a Top Safety Pick+ status with top “Good” ratings in all categories of testing from the IIHS or the Insurance Institute for Highway Safety. It also has a forward-collision warning, simulated torque vectoring on the front wheels via its anti-lock brakes, and various optional safety technology. It isn’t as quiet, refined, and special as expected from a luxury brand. There’s a bit of road roar in the cabin and engine vibration isn’t that isolated. A transverse-engine architecture runs on A3. It is equipped with a strut front suspension isolated on its own subframe and a four-link torsion-beam rear suspension used for efficient packaging. The electromechanical steering system allows the driver to easily place the A3 exactly where they want it to be. Brakes also have a precise and easy-to-modulate feel. The quattro all-wheel drive uses the Haldex clutch-pack-based system that aids efficiency by sending most or all power to the front wheels during most cruising and steady driving situations, it is further assisted by the stability-control system. 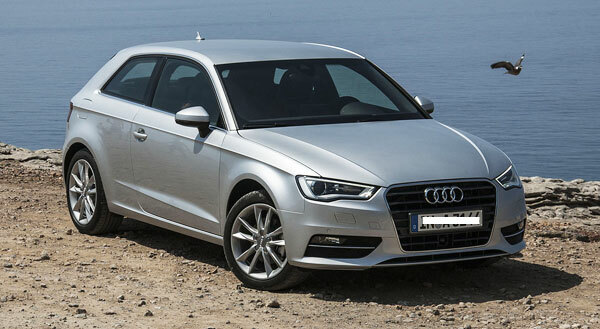 The Audi A3 is a new weapon in the battle for compact luxury buyers. It has an Audi conservative looking appearance in comparison to competitors. However, the interior of the A3 ventures subtly into new aesthetic territory that shows more of the VW roots. A3’s are pretty conventional in layout, transverse-mounted engines, front struts, and a four-link independent rear suspension. The electromechanical, speed-sensitive steering is excellent, precise and well-weighted. These engines are offered in both the sedan and Cabriolet. Sedans are just 175.5 inches long and ride on a 103.4-inch wheelbase. A3 is also marginally wider, and that difference combined with how the A3’s doors and roofline make it petite back seat more accessible. However, there’s a bit of road noise in the A3’s cabin, and trunk space is slightly limited. Audi aimed to maximize its interior space and boost crash performance by moving the front wheels forward by about 3.81 centimeters. It also has pre-collision restraint prep and various optional safety technologies. It also added more standard equipment to the 2016 A3 lineup, including an aluminum-look interior trim, a rearview camera, and heated washer nozzles and mirrors.